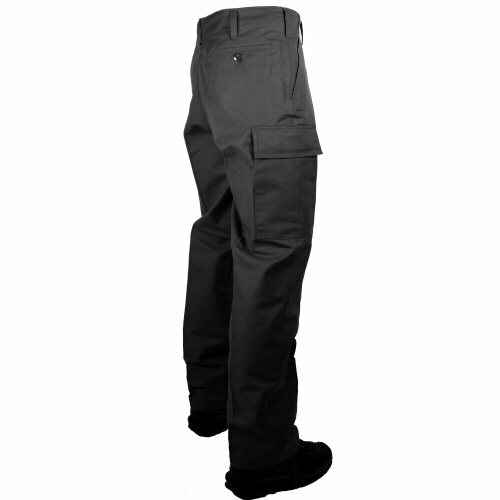 Manufactured by the original German Army contractor to original specifications, the German Army black moleskin trousers are a classic item of outdoor leisure, hunting and work wear. 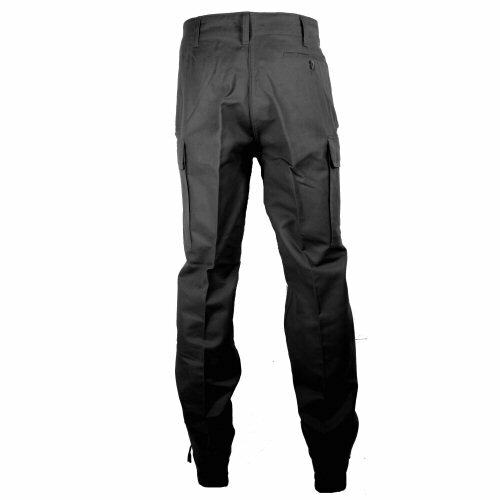 Highly popular with security and police as well because of the neat, urban uniform appearance of the black colour. All materials are exactly the same as on the originals, as are features such as extra-tough chain stitching along all essential seams, wide belt loops, comfortable cut. 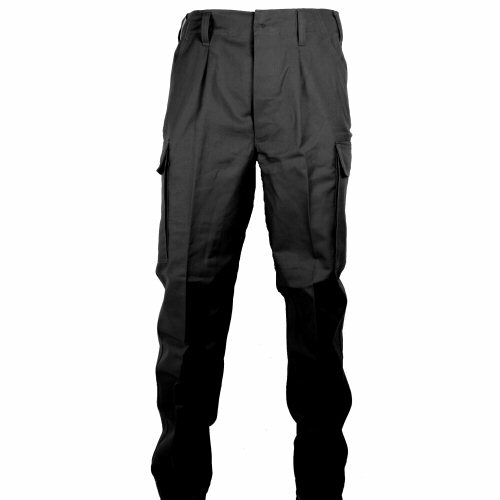 The trousers also have the original button fly, button down leg pockets with internal pocket and twill-tape ankle ties. Made of 100% machine washable heavy duty cotton in 'moleskin' weave which gets more comfortable with wearing. When new, these will be about 1cm larger in order to accommodate shrinkage during the first wash. Do not be fooled by import copies! Sizes run in centimeters on the waist, 80cm (approx 31in), 85cm (approx 33in), 90cm (approx 35in), 95cm (approx 37in), 100cm (approx 39in), 105cm (approx 41cm), leg lengths in Regular 80cm inside leg (approx 31in) and Long 85cm inside leg (approx 33in). Available options are: 31R , 33R , 33L , 35R , 35L , 37R , 37L , 39R , 39L , 40R . Side view of trousers showing seat pocket, leg pocket and hip pocket.